Find the loan that's perfect for you! The credit report is, as the name says, a document that shows your credit history. This can be used to apply for loans, but you can (and it is recommended to) do a checkup from time to time to learn more about your current financial status. However, whereas you’re an entrepreneur looking to get more financing for their business, or you’re a regular person, looking to get a loan for their home (or another grand project), you will need to get a credit report before you can even think about applying. This report tells potential lenders about your level of responsibility (from a financial point of view). It contains information about how you handled credit in the past and if you have any debts. So, if you’re not aware of your current situation, it’s best to request a credit report before your possible lenders do (they have the legal right to do so). Overall, the main purpose of this report is to establish your creditworthiness and this is highly based on your credit score. The credit score is a number and tells a possible lender if you are a responsible adult who can be trusted with a loan. Also known as credit rating or FICO Score (it was created by created by Fair Isaac Corporation), this number ranges between 300 and 850. But what does this mean? If you’re not knowledgeable in the world of finances, this number won’t tell you much. You may know that, if the score is closer to the upper limit it means your situation is good (or ideal, if the score is 850), but it’s important to completely understand the significance of this score. That is, if you truly want to learn about your financial situation. As you can see, payment history and the amount you owe are extremely important in deciding the final score. Of course, other factors are important as well, but your level of risk is decided by your past behavior. It’s also important to know that your credit score will be different from one South African credit bureau to another because every institution calculates it differently. They consider different weights for the major risk factors, which is why it’s important to get as many copies of your report as possible. You may wonder towards the importance of knowing your credit score, especially if you’re not interested in a loan (right now). Regardless of your current position, it’s important to be aware of your financial credibility for any future decisions. Let’s say you decide to open a business; even if right now you have the necessary funding, it’s important to show your partners that you’re responsible. It’s also a plan B in case things don’t go as planned. But what if you don’t want to open a business or buy a house, or make any important financial decisions? Is the credit report still important? Yes, you should be aware of your credit health at all times because it provides you with clues when opportunities show up and, you can avoid horrible surprises such as identity theft (a trend on the rise in South African countries). Overall, a credit report can offer solid facts that can be helpful regardless of your future plans. If you know how you stand, you have all the data to make good decisions that will lead to growth, both personal and financial. How to Get a Credit Report? It’s very important that you request a copy of your credit report from all three agencies because each have their own view on the matter. Even more, possible lenders usually work with only one agency, but you don’t know which. Thus, if one of these agencies has a version of your report that contains errors or inaccuracies, your submission for credit may be declined because of this. If you spot a problem with your report, you are entitled to ask the agency to check their data and update the report. You can also request a free copy from AnnualCreditReport.com, but only once a year. Finally, if you applied for a loan but your request was denied, within 60 days you are entitled to a copy of your updated credit report. You can also ask to see your report if you are on welfare or unemployed, or if you suspect your report is inaccurate. Depending on the agency you address, you may be asked to pay a fee for your report. Yes, you are entitled to one free copy, but any other additional requests to see your report credit can (and in many cases are) be charged. The idea behind this practice is that one needs to see their credit report at least several times a year, if not every month. Based on this, there is an entire niche of businesses that offer to calculate your report score and interpret it for your needs. For instance, you can subscribe to one of these credit checkers and receive an interpretation of your financial situation and trustworthiness every month. 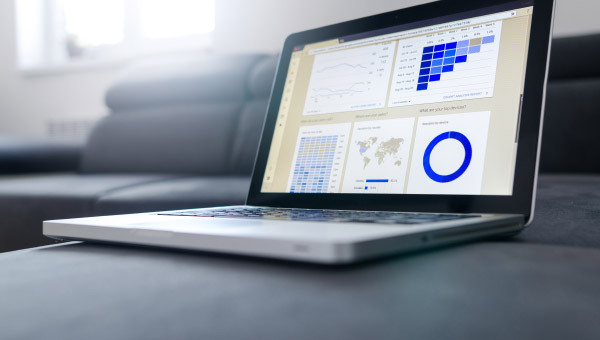 You will also receive information on how to improve your score, graphics, pie charts, and more – all to justify paying for something you should receive for free. You are entitled to one free copy of your credit report each year (according to the National Credit Act). This means that the first copy you get is free, regardless of the agency or credit bureau you address. Knowing this and considering there are plenty of businesses eager to have you as their customer, you can play the field and get free credit reports whenever you need them. Sure, they won’t come with all that extra information, but with a bit of research, you can learn those by yourself. Compuscan – a full-service credit bureau that owns My Credit Check, an online service that offers detailed information on your report. TransUnion – they provide businesses and individuals with financial information and interpretation that help in taking the correct decision. XDS – a company that provides business and consumers with data relevant to the South African market. While they don’t have a direct service for credit reports for individuals, they own credit4life, an online service tailored to this aspect. TPN – a registered credit bureau specialized in property rentals. They work with Credex scores which are specifically tailored to the rental industry and allow landlords to choose between one of the three credit agencies we mentioned above. Still, you can also get a free credit report each year, as an individual. MIE – a company specialized in background checks for human resources management. They offer a wide range of background checking services, and credit checking is one of them. Experian – specialized in providing data and analysis to businesses everywhere, they also run credit checks and are obliged by law to provide individuals with one free credit report each year. Roberston Reports – they specialize in creating a wide range of commercial reports for businesses looking to understand more of the market share they want to invest in. Inoxico – they run reports on African companies and individuals (on clients’ request) to offer an in-depth insight into anyone looking to start a new partnership. Medical Credit Watch – tailored towards the healthcare niche, this company is the only accredited credit bureau exclusive to the healthcare community. Thus, it is only available to healthcare providers. The Southern African Fraud Prevention Service –a registered credit bureau created to prevent financial fraud and help both individuals and companies stay away from negative experiences. It’s not clear if they can provide you with a copy of your credit report, but they have access to financial information so you can submit a request. ClearScore – a reliable FinTech business that offers their customers free access to credit reports (forever). Kudough – according to their presentation page, ‘Kudough gives you a high-resolution picture of your credit worthiness’. So, this company addresses individuals directly and asks them to be responsible about their credit reports. Credit-IT-Data – this is a financial data company that offers business and consumer credit reports from all credit bureaus (for all types of customers). MarisIT – a registered credit bureau that provides customers with credit scoring and vetting solutions for small, medium and enterprise companies. One of their services is aimed at providing consumer reports, but they do this for businesses so it’s not entirely clear if an individual could recruit their services. VeriCred – they are a credit bureau that provides credit information to both consumers and businesses. To get your copy, you just need to fill in an online form and submit it. SmartTrace – this is an online service that allows registered users to obtain profiling information on both businesses and consumers. The cool thing about this service is the fact that everything is done online; you don’t have to call anyone or submit a bunch of papers to get the information you need. At the end of the day, the most important thing to get out of this article is that you must be up to date on your financial situation. Credit reports are the best way to do so, but it also matters your knowledge of the information you receive through these reports. However, there is no need to add another financial burden to your collection by registering to services that promise to deliver these reports. With a bit of research and a thorough list of existing credit bureaus in South Africa, you can get the information you need for free. Just make sure you stay up to date with what happens in your country, in all niches that matter! Have you been rejected for vehicle finance? Learn how to eliminate debt and achieve true financial freedom! Provide your details to subscribe to our FREE newsletter. Your details will not be shared with any third parties. 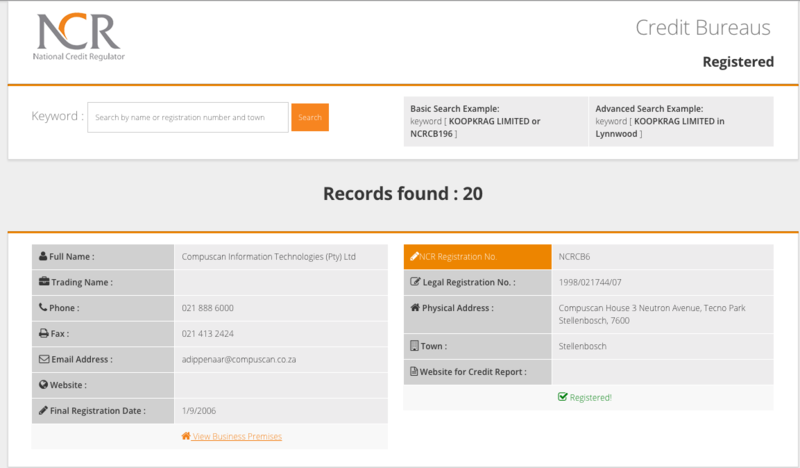 Copyright © 2019 Loans South Africa. All brands and trademarks are the property of their respective owners.